The Courtwright Memorial Library includes over 400,000 print and non-print materials to support the curricular and cocurricular needs of students, faculty and staff of Otterbein University. The library offers laptop computers, data projectors, digital cameras, digital camcorders and other equipment for checkout to the Otterbein University community. There are three computer labs located within the building and wireless connectivity is available throughout the library facility. The Otter Bean Cafe, which is operated by Bon Appetit, provides food, beverages, wireless connectivy and comfortable seating. The library is a part of a consortium of 24 private colleges, called OPAL. OPAL provides a shared online catalog, circulation, reserve, and cataloging system. Membership in OPAL allows Otterbein to belong to the statewide consortium called OhioLINK, a consortium of 88 Ohio college and university libraries. OhioLINK offers access to more than 47.6 million library items statewide, more than 140 electronic research databases and over 12,000 electronic journals. All these resources can be accessed through the college network or internet providers from computer labs, homes, offices or dormitories. Through OhioLINK membership, students, faculty, and staff may request materials from other Ohio academic libraries, either electronically or by visiting that library. Any items not owned by another Ohio academic library can be obtained through resource sharing agreements via Interlibrary Loan. Membership in OhioLINK also provides access to a growing number of electronic resources, including indexes (such as Academic Search Complete, Business Source Complete, Lexis-Nexis, ERIC, Medline, and Cinahl), electronic journals and electronic books. The library staff strives to provide the best service possible to help students, faculty, staff and community users find the information they require. Reference assistance is available both in the library and remotely. Please contact us by visiting the library, or by phone, email or instant messaging. Information about the libary is available at http://library.otterbein.edu. The Academic Support Center provides a variety of academic support services. The Writing Center provides drop-in consultation on writing projects in any subject area at any level. The Center, staffed by students and professionals, is open to all students who want to develop and refine their writing skills. 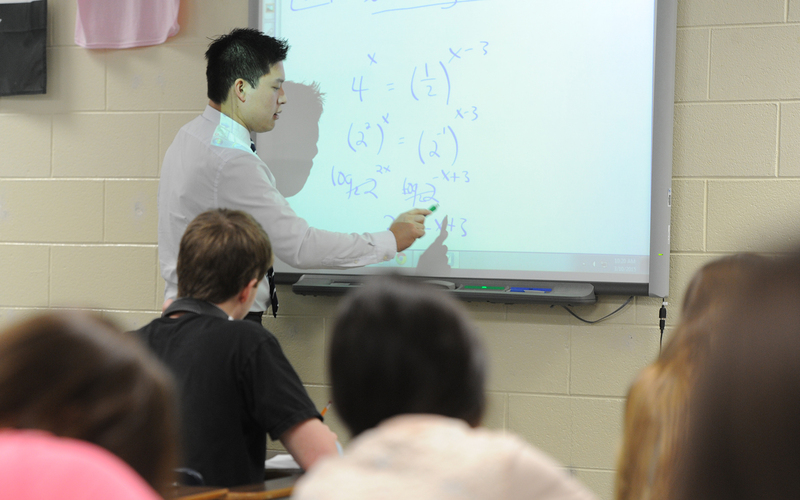 The Math Lab provides assistance with math homework or concept review. It is staffed by student and professional tutors who are available for extended hours each day. Noncredit individualized assistance from the professional staff is offered in areas such as time management, exam preparation, effective reading techniques, note-taking, and math study skills. For students with English as a second language, please refer to the Nursing Department Policy for Extra Time on Examinations. The Office for Disability Services (ODS) at Otterbein University is charged with ensuring that all qualified students with disabilities have equal access to an education and to campus life. This access is provided to students through the provision of legally mandated (Section 504 of the Rehabilitation Act of 1973 and the Americans with Disabilities Act) services, accommodations, and advocacy. ODS provides services to students with obvious physical disabilities such as visual impairments, hearing impairments and mobility impairments as well as to students diagnosed with learning disabilities, Attention Deficit Disorder/Hyperactivity Disorder (ADHD), and psychiatric disorders. In order to receive accommodations, students must provide ODS with appropriate documentation of their disability. Types of accommodations that students may receive can include exam accommodations, note taking assistance, books in alternative format, and priority registration. ODS is located in room #2 on the second floor of the library in the Academic Support Center. For more information, contact 614/823-1618 or visit ODS on the web at http://otterbein.edu/academics/DS/index.asp.